You may want to have a Key Replacement because you want to be prepared for possible situations that may occur in the future. If you need Smart Fortwo Keys Made in Austin call Bobcat Locksmith at 512-954-5025, we can be there in 20-30 minutes, and make it onsite. You may have tried contacting some locksmiths but some of them do not offer this type of key replacement. You will not be disappointed if you choose us to be your locksmith. We can assure you that we will provide the Key Replacement that you need. You can just give us a call at 512-954-5025 and we will answer all of your inquiries about the services that we offer. 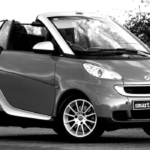 Why the Smart Fortwo Keys Replacement is Tricky? There are a lot of locksmiths who will have no trouble with trying to make a replacement of the car keys of other cars. In fact, they would even offer different types of keys depending on the model of your car but the Key Replacement is tricky. First and foremost, this is relatively newer compared to other cars, and with our advanced key making machines, we got you covered! Factory Remote Key – If you have the OEM remote head key then this may be the option that you will choose. You will be able to lock and unlock your car with the help of a remote. A lot of people like this option because they find it safe and effective. The only issue with this is it is more expensive compared to the other duplicate key option. Economical Option – If you want to save a lot of money, you can just have a copy of your original key. This will not cost a lot of money but you also do not have the option of undergoing a keyless entry. You need to unlock and lock your car door manually. This will not be too inconvenient if you are used to it. Now that you know the two duplicate options, would you rather choose the more economical or more expensive choice? You need to consider your budget and what you will find more convenient between the two. 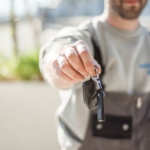 If you have gotten stuck somewhere and you have lost your key, you may need to contact your manufacturer and ask for a towing service or you may contact one of the best and honest locksmiths in Austin to provide the same service. We will be more than willing to provide the service you need. What can Bobcat Locksmith do? We know that you will not be able to open your car without the right key. We will get an OEM remote key and we will program this into your car. Take note that this is the only option Key Replacement at this time. This may be a bit more expensive than the replacement keys of other cars but we assure you that we will do our best to make the key as good as the one that you have lost. You will have no trouble accessing your car after that. In the process, you can choose to have a spare key made too so you will not have problems in the future. 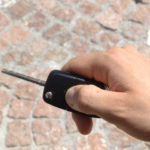 Traditional Car Key – This is the type of key that are equipped on older models. This type of car key is very easy to replace. The original key can be replaced by locksmiths and the spare can be used to turn on the car. The lock of traditional cars is also the easiest to open. They are not as safe as the other vehicles available. Remote Key – This is similar to the OEM key being discussed earlier. The remote can lock and unlock the car doors easily. This will make it possible for you to gain access to your car easily. Transponder Car Key – This may look similar to the traditional key but you will notice that it is a bit different probably because of the chip that you can find on one portion of the car key. This chip will lock and unlock your car. If you use this type of key on another vehicle, it will not work even if you use it on the same car model. Each chip placed is unique for each vehicle. Cars that need transponder keys would need to undergo some programming if the key needs to be replaced or has gotten lost. Once the locksmith fixes it though, it will not be a problem anymore. There are other people who are able to find and purchase used car keys online and surprisingly, these keys work but with a little bit of tweaking from people’s trusted locksmith. These used keys are not as expensive as getting a replacement key. This is the reason why it is popular among people who have lost their car keys. If you have the Smart Car Fortwo though, this will not be one of the options available but do not worry, you can just work with us and we will provide the Smart Fortwo Keys Made that you are searching for. A locksmith’s rates will always be more affordable than going directly to the dealer. Do not underestimate the skills that your local locksmiths have. You will become pleasantly surprised with what you will get.